Mumbai is known to be the hub of all kinds of flourishing business and corporate dealings, celebrities gatherings, family occasions and parties with rich influential clients where hotels are very important consideration to be undertaken. 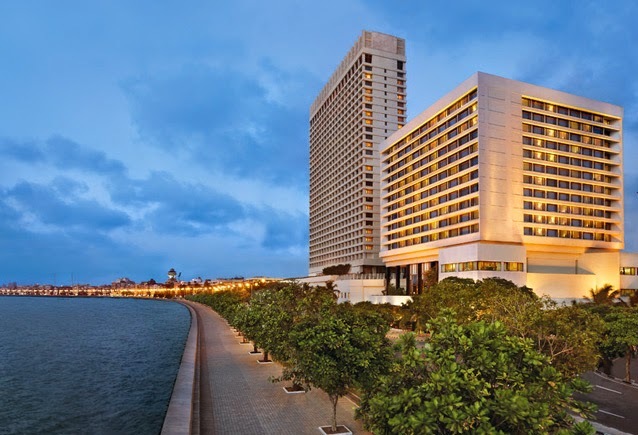 The TajMahal lies close to the ferry terminal and it is the grandeur and elegant establishment to have all the advantages the five star cadre hotels have. It faces towards the Arabian sea and the monumental Gateway of India.Guests can hop on a ferry at nearby Colaba Terminal to see the sculpted caves on Elephant Island, or walk 15 minutes north to admire the neo-Gothic Bombay High Court. Built in 1903, this luxury hotel impresses with opulent lobbies, a pool, and 10 restaurants including the award-winning Wasabi and Souk. Guests looking to pamper themselves can visit Jiva Spa, for treatments like Indian aromatherapy massages, body scrubs, and wraps.Stylishly designed with Indian-inspired decor and architecture, rooms feature views of the sea, bustling Mumbai city, or the tranquil pool area. The hotel offers a pillow menu, and WiFi for those who want to stay connected. It is very famous hotel in list of hotels in Mumbai. This award-winning Mumbai hotel is located in Cuffe Parade neighbourhood, 0.5 km (0.3 mi) from the Mumbai World Trade Centre and 2.4 km (1.5 mi) from South Mumbai's Nariman Point business district. Dining-and-refreshment options include the Konkan Café, the Thai Pavilion, the Trattoria, and the WINK bar. Vivanta by Taj - President also features an outdoor pool, fitness centre, day spa, and shopping arcade.Vivanta by Taj - President's modern, spacious guestrooms feature city views, premium bedding, free wireless Internet access, and LCD TVs. Complimentary bottled water is provided. Located 600 metres from Mumbai ChhatrapatiShivaji International Airport, this 6-story business-friendly hotel is within 5 km of University of Mumbai and Juhu Beach. The hotel is closed to NSE Exhibition Centre, MIDC, SEEPZ and Powai business districts.Hyatt Regency Mumbai offers an expansive spa and fitness facility with 5 plush spa rooms, modern fitness equipment, sauna and steam rooms, a relaxation lounge, and an International-size squash court. Guestrooms offer floor-to-ceiling windows, city or pool views, premium bedding, LCD televisions with satellite channels, and Italian marble bathrooms with deep soaking tubs and separate rainfall showers. When it comes to hotel bookings in Mumbai you can book via internet or manually. This luxury hotel is located in Mumbai (North Mumbai Business District), near the airport, MIDC Industrial Estate, Santacruz Electronic Export Processing Zone, and Phoenix Market City Mall. Local attractions also include Powai Lake and Shoppers Stop.In addition to a restaurant, The LaLiT Mumbai features an outdoor pool. Other amenities include a full-service spa and a coffee shop/café.LCD televisions include satellite channels. Guestrooms also feature deep soaking bathtubs, wireless Internet access (surcharge), and high-speed (wired) Internet access (surcharge). This luxury hotel is located in Mumbai (North Mumbai Business District), near the airport, Shoppers Stop, MIDC Industrial Estate, and Santacruz Electronic Export Processing Zone. Local attractions also include Juhu Beach and University of Mumbai.In addition to 4 restaurants, The Orchid features an outdoor pool. Other amenities include a full-service spa and a bar/lounge.Plasma televisions come with digital channels. Guestrooms also feature refrigerators, wireless Internet access (surcharge), and high-speed (wired) Internet access (surcharge).